From the bestselling author of Hacks for Minecrafters and Hacks for Minecrafters: Master Builder comes the most encompassing guide ever to combat in the world of Minecraft. Now in paperback for the first time and completely revised and updated! With more than 100 million registered Minecraft accounts and rights picked up by Warner Brothers for an action-adventure film in the style of The Lego Movie, Minecraft is one of the world's biggest children's brands. 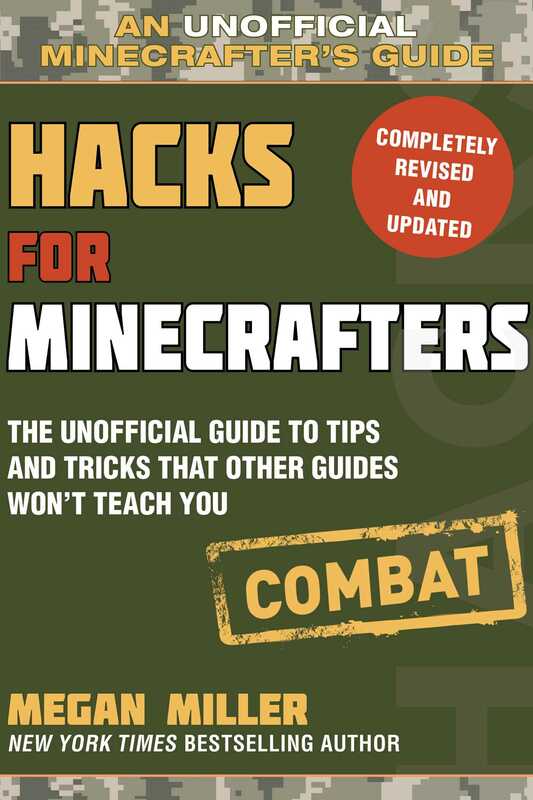 While there are several successful game guides on the market already, Hacks for Minecrafters: Combat Edition is the first unofficial "hacker's" guide dedicated to combat and geared toward seven- to twelve-year-old Minecrafters. Now being released in paperback, Hacks for Minecrafters: Combat Edition has been updated for Minecraft 1.12, the World of Color update that added new function and crafting systems, illusioners, parrots, and building materials like glazed terracotta and concrete. Packed with expert tips, cheats, and hacks on fighting all types of enemies and with more than one hundred screenshots, Hacks for Minecrafters: Combat Edition shows exactly how the experts defend themselves and fight attackers, from cave spiders to creepers to zombie pigmen. In Minecraft, the risk of attack is ever-present, and players need to know how to build weapons, set traps, and escape to safety.